What is it about Wales and storytellers? Venture beyond the city lights to the Abergavenny Writing Festival. You’ll find an energy that might surprise you. There’s a warm buzz in the backroom of the Kings Arms pub. The voice of rapper poet Rufus Mufasa swells. Then a heartbeat silence, the breath between performance and applause. Closing night. Abergavenny Writing Festival is the creation of local resident and marketing consultant Lucie Parkin. The aim is to bring people together to find inspiration, have fun and get writing. It’s a welcome creative outpost for country dwellers. Think Glastonbury for word nerds. A little bit smaller, without the mud and in a pub. 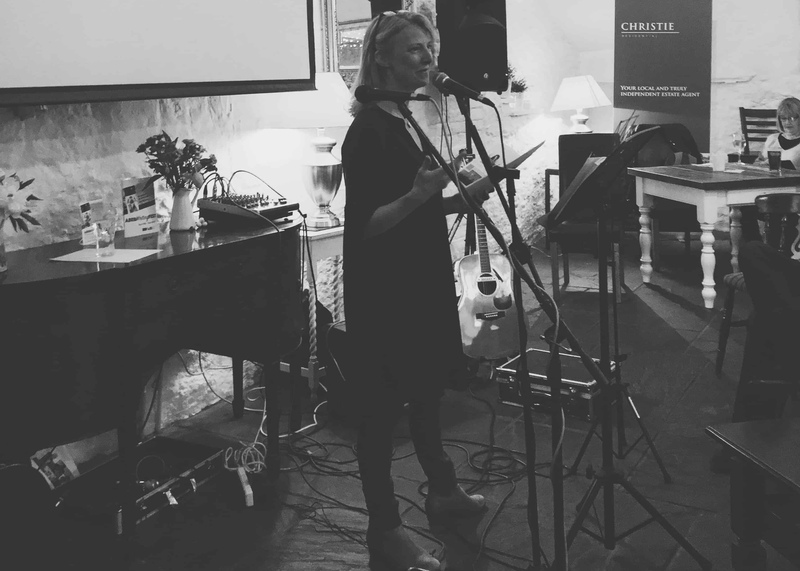 For three days, local poets, songwriters, journalists, storytellers, children’s authors, artists, film makers and novelists filled Abergavenny with words. To get into the festival spirit I joined a ‘Writing for Fun’ workshop by local writers Pat Smail and Anna Goodson. ‘Writing for other people’ pretty much sums up my job, so it was a treat to skip carefree into the old mind palace of dreams. Writing prompts got us breaking down the process of storytelling into manageable bites. As the ideas began to flow, Pat and Anna showed us how to capture those moments of inspiration for good. Fun? Yes, actually, it was. The best festivals have that seductive after-dark feeling. Shadowy corners of treasure and pleasure. As evening fell on opening night, the pub twinkled. 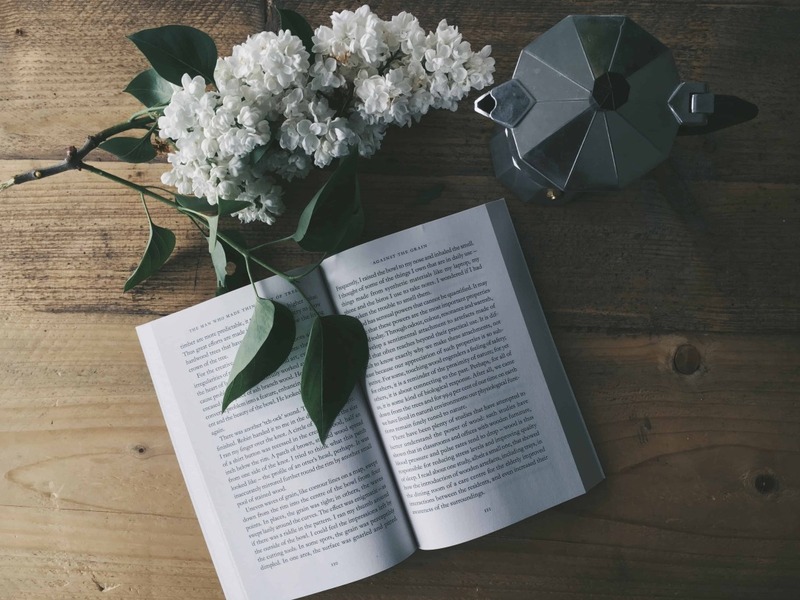 The perfect space for writers to spill their secrets and let their hair down – just a little. Author Robert Penn’s enthusiasm for narrative non-fiction was infectious. Artist and wonder-woman Emma Bevan opened our eyes to the healing power of words. Turn Lights On founder Georgina Jones made damn sure that everyone in the room had their lights up at full beam. I got drunk on ideas. I bought books. Thank you and goodnight Abergavenny. Seasoned festival goers know that there are non-negotiable headliners. Then there are the people you actually want to see. Finally, there are the left-field surprises. The ones you can’t shut up about for weeks afterwards. Friday and Saturday brought a satisfying mix of all three. BBC Countryfile Magazine Editor Fergus Collins was an all-star addition to Friday’s lineup. 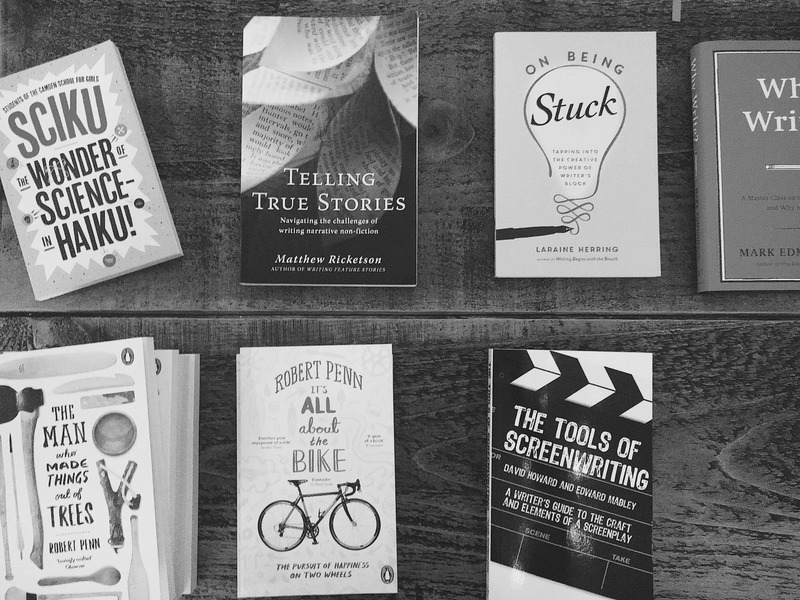 With revealing inside stories straight from the editor’s chair and top tips to match. A rare thing at the best of times, especially in the wild. It takes a tricky type of magic to bring the word from person to page. If you don’t believe me, just try a letterpress workshop. I dare you. 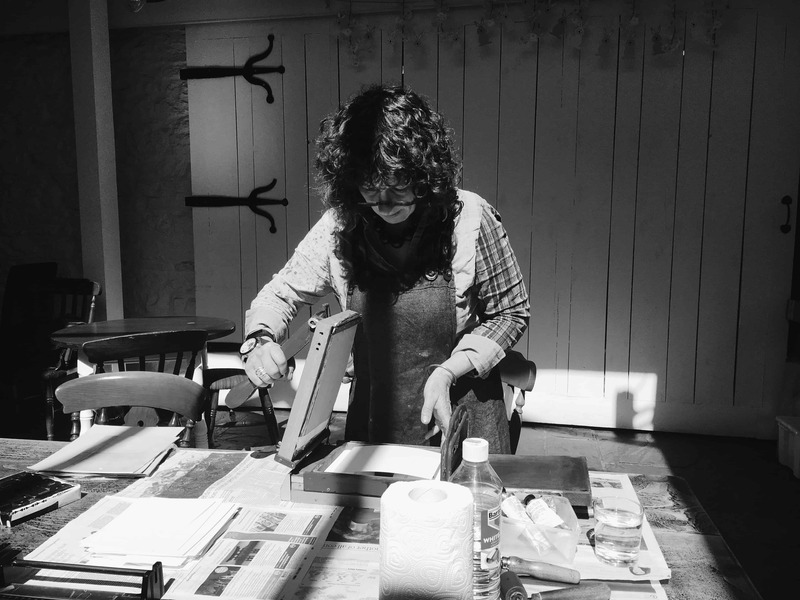 Francesca Kay and her beautiful Adana printing machines were a delight. After a tiny newbie hiccup involving d’s and b’s, I held my very own print in my hand. Performance poet Francesca once hated the thought of writing her work down. Thanks to print, she now creates beautiful, quirky art. After trying it I’m half in love myself, a word wizard in training. Mastering new skills takes a whole lot of energy. Enter writer, speaker and social entrepreneur Marie Yates. A one woman and her dog story meets a tour de force of can do attitude. Marie’s secret to success in writing (and life) is showing up every day. I believed her. Anyone who smashes an ironman and turns a book into a business can teach you a thing or two about gritty determination. We writers still know how to have a good time though. The most rock and roll thing I’ve done to date is write a song with an actual star of BBC Radio One and BBC 6 Music fame. The Rolling Stones had to lock Mick Jagger in the kitchen to come up with their stuff. 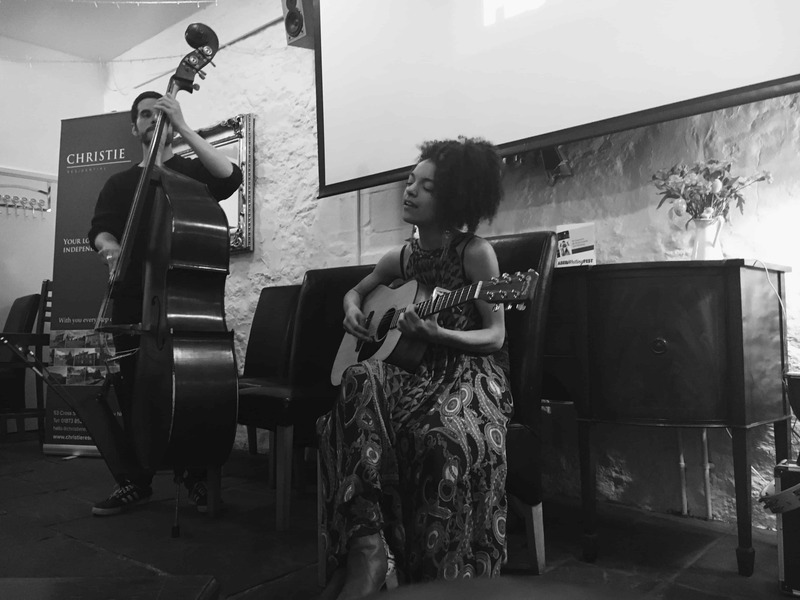 At Abergavenny, all it took was one super talented singer songwriter (Kizzy Crawford) and a bunch of creative strangers. I’m throwing the TV out the window. Eat your heart out Stones. Who am I kidding? If I had a personal soundtrack it would be BBC Radio 4. Journalist Jude Rogers skilfully explained the appeal of the ever-present comforting burble. We went behind the scenes of Radio 4 documentary The Shock to reveal how airwave artistes pull off that ultimate writer’s trick. To build such a compelling picture that we don’t just listen, we hear. Closing night. The grand finale. Poet and songwriter Paul Henry’s Newport is so real I catch my breath. So clear that I can see the mist and mud of the Usk. The final word from poet, rapper and musician Rufus Mufasa. Powerful, political and hilarious. Mufasa’s warmth radiates out from her Welsh vowels, and we feel it. Mufasa shares that it’s the first night away from her baby, and blasts out a few barbed lines to “settle her down.” In the flickering half light, the room ignites. Abergavenny Writing Festival is more than your average festival. 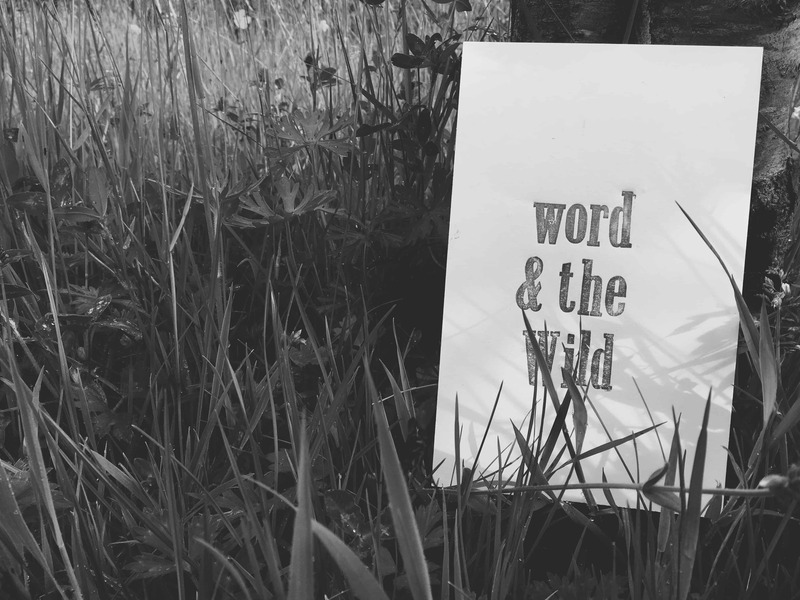 It’s a gathering on the edge of the wild, a meeting point for creatives of all tribes. If there’s a story in you, chances are you’ll find it here, in the shadow of the mountains. Collaboration note: Thank you to the Wales Blog Network and Lucie Parkin for festival passes in exchange for this review.